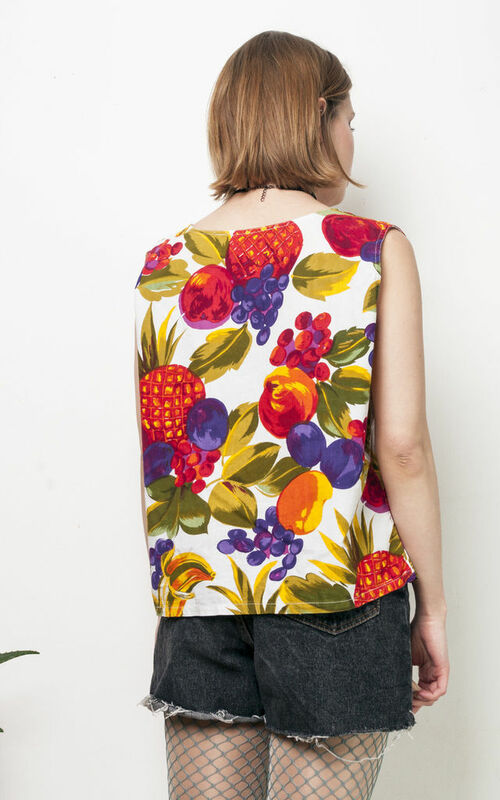 Tank top with a crazy fruit bowl print. 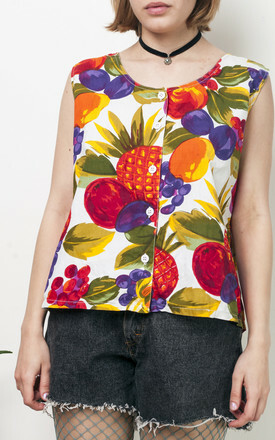 That's no surprise as it's from the 90s, motherland of crazy prints. Due to its oversized cut, we recommend this perfect beauty for a UK size 8-12. Perf condition. 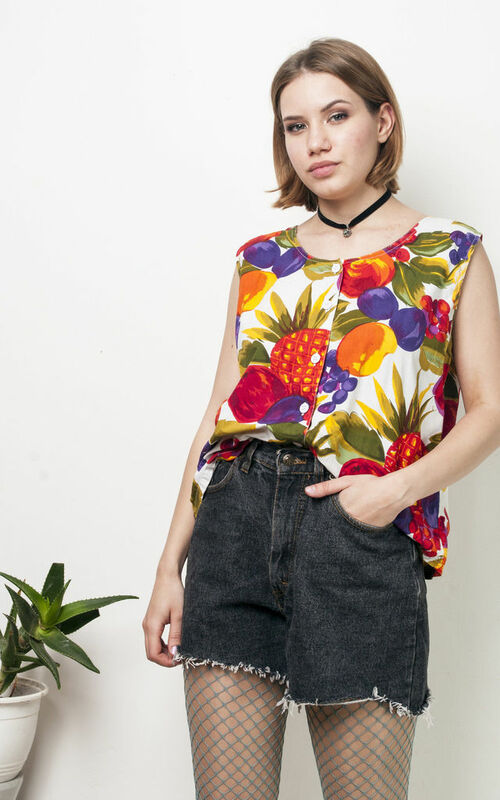 Fabric feels natural.